On 30 March 1946, Stockport County and Doncaster Rovers met in a Division Three North Cup replay at Stockport's Edgeley Park. The match lasted 3 hours and 23 minutes, setting a world record in the process. The teams had earlier played to a 2-2 draw at Doncaster, requiring the replay. The hosts struck first with a 5th minute penalty kick from Ken Shaw, but Rovers fought back to take a 2-1 lead into the break. In the second half, Shaw was again the hero for Stockport, scoring the equalizer in the 72d minute. After 90 minutes, the teams were tied at 2-2 and neither side was able to score in 30 minutes of extra time. Under the rules at the time, the match then went into a golden goal period, so that the first team to score would win the match. But neither team was able to find the back of the net. The match went on for so long that several spectators went home for tea, then returned to find the match still going. 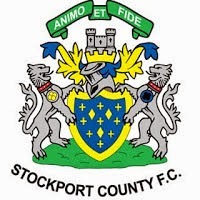 Stockport thought they had the winner when Les Crocker put the ball in the goal in the 173rd minute, but the referee called a foul and disallowed the goal. Reportedly, even a few Doncaster players were upset at the call, which meant they had to play on. Eventually, the match was called off close to 7:00 pm because it was too dark to play (Edgeley Park would not get floodlights for another ten years). The players were so tired that many of them dropped to the pitch at the whistle and removed their shoes instantly. The match lasted 203 minutes, which remains a world record. When the teams met again in a second replay the following week, they played from the beginning instead of picking up where the previous replay had left off. That time, Doncaster left no room for another marathon match, rolling to a 4-0 win in regulation. 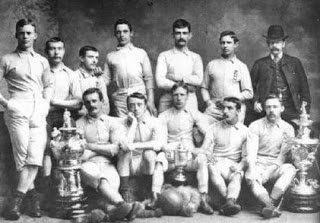 On 29 March 1884, Glasgow club Queen's Park FC became the first non-English club to appear in an FA Cup Final, losing 2-1 to Blackburn Rovers (pictured, with the Cup). Queen's Park, founded in 1867, was Scotland's first football club. In 1870, they joined England's Football Association in order to challenge themselves against tougher competition than was available in Scotland (Scotland did not yet have its own FA at the time). The Scottish side started the 1883-84 FA Cup in brilliant fashion, traveling to Crewe Alexandra, where they crushed their hosts 0-10 in the First Round. The did even better in the Second Round, beating Manchester FC 15-0, then kept their momentum with wins over Oswestry Town (1-7) and Aston Villa (6-1) in the Third and Fourth Rounds, respectively. Their closest match on the way to the Final was a 0-1 Fifth Round victory over Old Westminsters, but they regained their dominant form in the semifinals, beating Blackburn Olympic 4-0. While Blackburn's road to the Final was not as dominating (despite a couple of 7-0 wins, the matches were generally closer contests), they proved to be more than a match for the Scots. The two sides maintained an even balance for the first twenty minutes until Blackburn roared ahead with two late first-half goals in quick succession. Queen's Park pulled one back before the half-time whistle, but could not find an equalizer as Blackburn bossed them around the pitch in the second half. Queen's Park returned to the Final the following season, again losing to Blackburn, this time 2-0. They remained the only non-English side to reach the Final until Welsh club Cardiff City finished as runners-up in 1925. Two years later, Cardiff became the first non-English side to win the Cup, with a famous 1-0 victory over Arsenal at Wembley. Labels: 1884 FA Cup, Arsenal F.C., Blackburn Rovers F.C., Cardiff City FC, Queen's Park F.C. 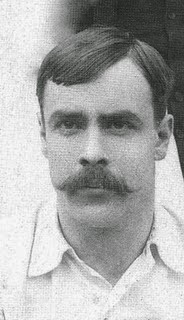 On 28 March 1903, center-half Archie Goodall (pictured) scored the opening goal in Ireland's 2-0 victory over Wales in the 1903 British Home Championship. Goodall was 38 years and 283 days old, making him the oldest goalscorer in the history of the Irish national team. Born in Belfast in 1864, Goodall spent his entire club career in England, starting with Preston North End in 1887. After one season in Deepdale and one with Aston Villa, he settled with Derby County for whom he made 380 league appearances (and scored 48 goals) between 1889 and 1903. He received his first call up for Ireland in March 1899. Prior to that time, the Irish FA had refused to allow the national team to select footballers who were playing in clubs outside Ireland, making Goodall one of the first players based in England to don a shirt for the Irish national team. Ireland's match against Wales on 28 March 1903 was their last of the tournament. Goodall's goal - the second and last of his international career - helped the Irish finish level on points with England and Scotland and, because there was no provision in the tournament rules to break a tie, the three sides shared the trophy equally. It was the first top finish for Ireland, who would finish as runners-up the following season, then win the title outright in 1914. Goodall left Derby County in 1903 and spent a season with Plymouth Argyle before moving to Glossop North End as player-manager. After one season there, he moved to Wolverhampton in 1905, but made only seven appearances for Wolves before retiring later that year. Labels: 1903 British Home Championship, Archie Goodall, Aston Villa F.C., Derby County F.C., Glossop North End AFC, Ireland, Plymouth Argyle F.C., Preston North End F.C., Wales, Wolverhampton Wanderers F.C. On 26 March 2008, 32-year old David Beckham reached his 100th cap when he started for England in a friendly against France. It was milestone that Beckham looked unlikely to reach after England's elimination from the 2006 World Cup. Following their loss to Portugal in quarterfinals, Beckham's 94th international appearance, he resigned as England's captain. Although he expressed a desire to continue with the side in a subservient role, he was dropped altogether by new England boss Steve McClaren. A poor run of form changed McClaren's mind and he recalled Beckham to the national squad in May 2007. Beckham performed well, but it was not enough to save McClaren's job - he was soon sacked in favor of Beckham's former Real Madrid boss, Fabio Capello. With Beckham sitting on 99 caps, he was not included in Capello's first match in charge, a friendly against Switzerland on 6 February 2008. The decision created speculation that Capello's English side had no place for Beckham, but Beckham was included for Capello's second match in charge - the friendly against France. The match itself had mixed results for England. France controlled the pace and flow, creating far more scoring chances than the visitors. To their credit, though, the English defense was stout, repeatedly denying the French attack. The match's only goal came from the spot, as Nicolas Anelka drew a foul from his Chelsea teammate John Terry. Franck Ribéry buried the ensuing kick in the 32nd minute. 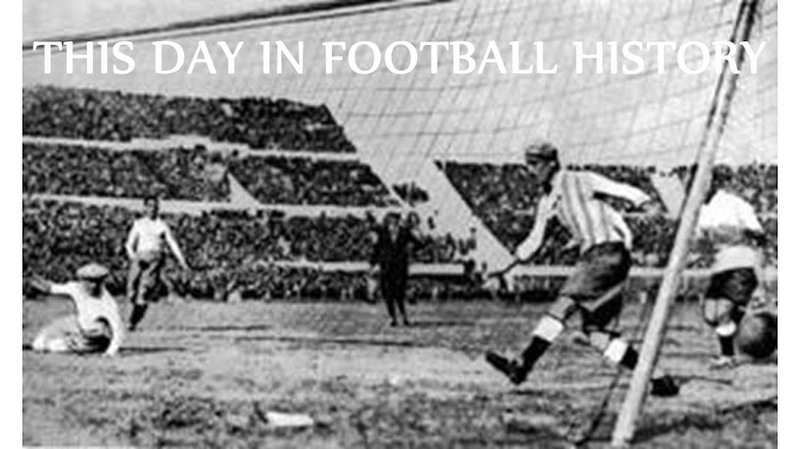 On 25 March 1934, Italy played the first - and to date, only - World Cup qualifying match for a host country, beating Greece 4-0 before a crowd of 20,000 at the San Siro in Milan. 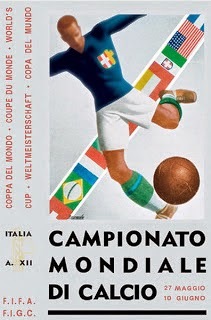 The 1934 tournament was only the second World Cup and the first to require qualification at all. FIFA had invited all member countries to compete in the previous tournament, but only 13 accepted the invitation, making qualification unnecessary. By 1934, however, the Cup had become more popular and 32 countries applied to compete. In order to winnow the number down to a manageable 16 for the tournament proper, FIFA split the 32 entrants into twelve groups. Most of the groups had two or three countries, though one had four. The groups were divided geographically, with Italy ending up in Group 3 with Greece. When Italy and Greece met in Milan on 25 March, the Azzurri dominated the match from start to finish. The Greeks managed to hold the Italians off for the better part of the first half, but created few scoring chances of their own. In the 40th minute, Italy finally cracked the Greek defense with a goal from Brazilian-born Anfilogeno Guarisi. That goal opened the floodgates, as forward Giuseppe Meazza netted a brace (44', 71') around a strike from midfielder Giovanni Ferrari (69'). The Greeks were so disheartened by the beating that they withdrew from the competition despite the fact that they had been scheduled to play a second leg at home. Italy advanced to the First Round where they beat the United States 7-1 on their way to their first World Cup title. For the 1936 World Cup, FIFA decided that the hosts should qualify automatically. That practice continues to this day, making Italy the only host in history to play a World Cup qualifier. 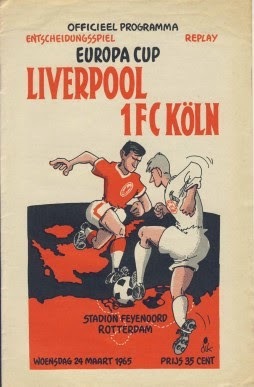 On 24 March 1965, Liverpool and Köln, having already drawn 0-0 over two legs in the European Cup quarterfinals, played a rematch in Rotterdam. As with the 1957 World Cup qualifying rematch between Spain and Turkey, the European Cup tie came down to a coin toss. 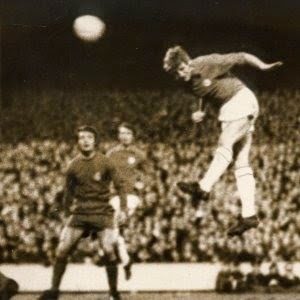 In fact, the 1964-65 European Cup competition was rife with outcomes decided by the flip of a coin. Both Anderlecht and Dukla Prague needed one to advance out of the preliminary round after scoreless playoff matches against Bologna and Górnik Zabrze, respectively. In a bit of foreshadowing for Liverpool, both teams were eliminated in the next round - Dukla Prague by Real Madrid and Anderlecht by Liverpool themselves to set up the quarterfinal match-up against Köln. The first two matches, played in Cologne on 10 February and in Liverpool on 17 March, ended as scoreless draws, requiring a replay at a neutral ground. The teams met in Rotterdam on 24 March and Liverpool jumped out to a 2-0 lead with goals from forwards Ian St. John (20) and Roger Hunt (37). Given the teams' inability to score in the first two legs, the lead was as improbable as it was seemingly insurmountable. But the Germans were undaunted and wasted little time in pulling themselves level. One minute after Hunt's goal, striker Karl-Heinz Thielen cut Liverpool's lead in half, then, three minutes into the second half, his fellow striker Hannes Löhr netted the equalizer. That would be the last goal of the match, as the teams finished 2-2. To break the deadlock, the rules at the time called for a coin toss, which Liverpool won. Their reward was a semifinal meeting with Cup holders Inter, who eliminated the English side by an aggregate score of 3-4 on their way to their second consecutive European Cup trophy. 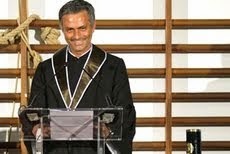 On 23 March 2009, the Technical University of Lisbon awarded an honorary doctorate to manager José Mourinho in recognition of his professional success. It is one of 30 individual accolades received by Mourniho during his managerial career. He had graduated from the university almost 20 years earlier with a five-year degree in sports science. His mother had enrolled him in a business administration program, but Mournho dropped out after the first day and decided to concentrate on sport instead. According to his mother, he went through the physical education program "like a bullet, with excellent marks." Upon graduation, he took coaching programs offered by the English and Scottish FAs with an eye toward becoming a manager. He got his start as the youth team coach for his hometown club, Vitória de Setúbal, then moved his way up the ladder to take his first head coaching position with Benfica in September 2000. Since then, he has established himself as one of football's greatest managers with stints at UD Leiria (2001-02), Porto (2002-04), Chelsea (2004-07), Inter (2008-10), and his current club, Real Madrid. Along the way, he has collected a massive haul of silverware that includes six league championships and two Champions League titles. Individually, he has won several manager of the year awards, including the UEFA Manager of the Year (2003, 2004) and the International Sports Press Association Best Manager of the Year award (2010). On 22 March 1992, the reigning European Cup holders and Yugoslavia First League champions Red Star Belgrade faced off against bitter derby rivals Partizan in a league match at Red Star's home ground, nicknamed the "Marakana" after the famous Brazilian stadium. The rivalry between Red Star and Partizan is heated and often marked by violence. Before the match on 22 March, it appeared that the latest installment would be no exception, with several fights breaking out as the teams' supporters made their way into the stadium. Once the match started, the masses of rival supporters' group taunted each other with name calling and threats of continued violence after the match. Shortly into the match, however, the crowd quieted as a group of about 20 Serbian Tigers - paramilitary soldiers - in full unform, stood in the North Stand and raised a road sign reading "20 miles to Vukovar" - Vukovar being a Croatian town in the path of the Serbian army. As the match progressed, the soldiers raised additional signs - "10 miles to Vukovar," then "Welcome to Vukovar." After Vukovar, signs with other names were raised as more Croatian cities and towns fell to the Serbs. 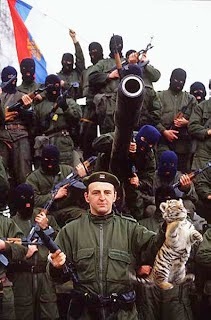 The crowd, united in nationalistic fervor, roared with approval as each sign was raised, building to a dramatic crescendo when Tiger leader Željko Ražnatović (pictured), better known as "Arkan," rose to accept the crowd's applause. The match ended as a scoreless draw, but few of the supporters seemed to care. The match remains a sobering reminder that the generally postive connection between nationalism and football also has a darker side. Red Star went on to win the league that year - their 19th title - in what was to be the last season of the Yugoslavian First League. 21 March 1980 - So, "Little Ronaldinho" Would Be "Ronaldinhodinho"
On 21 March 1980, two-time FIFA World Player of the Year Ronaldo de Assis Moreira was born in Porto Alegre, Brazil. Better known as Ronaldinho Gaucho--or more simply, Ronaldinho (for "little Ronaldo")--he would go on to win league titles and the UEFA Champions League with Barcelona as well as a World Cup with Brazil. Ronaldinho started his professional career with his hometown club, Grêmio, joining his older brother, Roberto, there in 1998. An attacking midfielder, Ronaldinho scored 21 league goals for Grêmio between 1998 and 2001 before moving to Paris-St. Germain in a transfer deal worth €5.1 million. He stayed with PSG for two relatively successful seasons, but his time there was marked by a rift with managerLuis Fernández, who criticized him of focusing more on his social life than his football. During his time in Paris, Ronaldinho was part of the Brazil squad that won the 2002 World Cup - his first time on football's biggest stage. He provided the match-winner in Brazil's 2-1 win over England in the quarterfinals. He was sent off eight minutes later and missed the semifinal, but returned to start for Brazil in their 2-0 win over Germany in the Final. In the summer of 2003, he transferred to Barcelona for €32,250,000. He would have his greatest success to date with the Catalan club, winning the 2004-05 and 2005-06 La Liga titles as well as the 2006 UEFA Champions League Final. He collected a number of individual accolades during that period, including the 2004 and 2005 FIFA World Player of the Year Awards. He left Barcelona in July 2008 for AC Milan, then returned to Brazil in 2011 to play for Flamengo, Atlético Mineiro, and his current club, Querétaro. 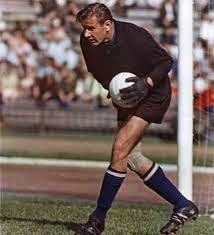 On 20 March 1990, Dynamo Moscow star Lev Yashin died. Nicknamed "the Black Spider" for his customary all-black kit, he is remembered by many as the greatest goalkeeper in history. Born in Moscow, Yashin spent his entire professional career with Dynamo, making 326 league appearances from 1949 to 1971. In the process, he won five league titles and three Soviet Cups. Once, when asked about his incredible record for stopping penalty kicks, he said the secret was "to have a smoke to calm your nerves, then toss back a strong drink to tone your muscles." Despite his success with Dynamo, he rose to international fame as keeper for the Soviet national team. He earned his first cap in 1954 and was instrumental in their gold medal winning 1956 Summer Olympics campaign, allowing only two goals in the tournament. He was equally frugal in the 1960 European Championship, again allowing only two goals in the tournament as the Soviet Union won the inaugural tournament. In 1963, the year he captured his fifth league title with Dynamo, he won the Ballon d'Or, becoming the first--and to date only--goalkeeper to win the award. 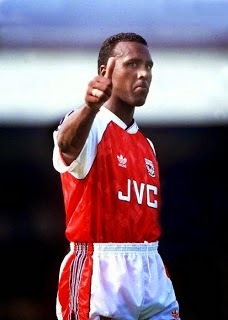 He suffered a knee injury in 1986 that led to the amputation of one of his legs. That created complications that led to his death in 1990. Four years later, FIFA created the Lev Yashin Award, given to the best goalkeeper at the World Cup. 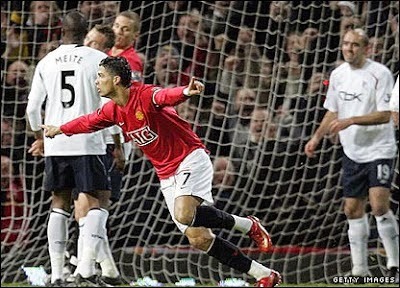 On 19 March 2008, Cristiano Ronaldo scored both goals in Manchester United's 2-0 win to pass George Best on the club's ranking for most goals in a single season. The match was Ronaldo's first as captain, in the absence of regular skippers Gary Neville, Ryan Giggs, and Rio Ferdinand, and he responded to the challenge well. His first goal came in just the ninth minute as he volleyed a corner kick past Bolton keeper Ali Al Habsi and his second followed just eleven minutes later. After being fouled by Bolton's Abdoulaye Méité in the 20th minute, Ronaldo delivered a stunningly precise free kick that easily beat Al Habsi. That second goal was Ronaldo's 33rd goal of the season in all competitions, surpassing Best's best tally of 32, set in 1967-68. He finished the year with a total of 42, only four behind Denis Law's club record of 46 in 1963-64. The win put United three points clear of Arsenal at the top of the table, where they would remain for the rest of the season to claim their 18th league title. Labels: Abdoulaye Méité, Ali Al Habsi, Bolton Wanderers F.C., Cristiano Ronaldo, George Best, Manchester United F.C. 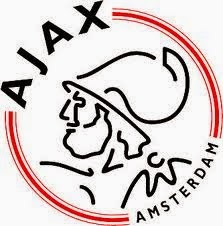 On 18 March 1900, AFC Ajax were founded in Amsterdam. They have since become one of the world's most successful clubs, pioneering total football and collecting a haul of silverware that includes 33 Dutch league titles, 18 KNVB Cups, and four European Cups/Champions League trophies. Ajax maintained their success through the '80s, '90s, 2000s, and into the present, having won the last three Eredivisie titles. On 17 March 1961, 33-year Don Revie took over Leeds United as player-manager. He would go on to become the club's most successful manager with two league titles, an FA Cup, and two Inter-Cities Fairs Cups. A center forward, Revie joined Leeds United in November 1958 from Sunderland (for a transfer fee of £12,000 that, combined with the fees paid to his previous clubs over the years, made him the most expensive footballer in English history at the time). In 1960, they finished second from the bottom in Division One and were relegated to Division Two, which is where they were when Revie took over. He quickly put his own personal mark on the club, in part by changing their strip from yellow and blue to an all-white kit in the style of Real Madrid. He retired from playing in 1962 to concentrate on management and led Leeds back to the top flight for the 1964-65 season. They immediately challenged for honors upon their return, finishing second in the league and advancing to the FA Cup Final in 1965. After finishing as league runners-up again in 1966, they won the Inter-Cities Fairs Cup in 1968 over Ferencváros, then won their first Division One title in 1969 after topping the table for the last 14 weeks of the season. Three more second-place league finishes followed in 1970, 1971, and 1972 before they won their next league title in 1974. Along the way, they also won the 1971 Inter-Cities Fairs Cup and the 1972 FA Cup. 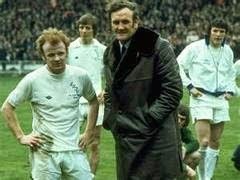 In 1974, Revie left Elland Road to become manager of England, but could not reproduce his success from Leeds. He resigned in 1977, then retired in 1985 after spells in charge of the United Arab Emirates, Al-Nassr, and Al-Ahly. 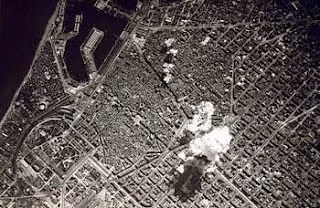 On 16 March 1938, a bomb struck the offices of FC Barcelona during a raid by Italy's Legionary Air Force. The LAF conducted the bombing to aid Francisco Franco, whose Nationalist forces were seeking to subjugate Spain. The semi-autonomous region of Catalonia was one of the last areas in Spain to resist Franco, whose allies included Adolph Hitler and Benito Mussolini. Both Germany and Italy provided men and equipment to Franco, including the LAF who were specifically tasked to provide air support in Spain. A few months after the raid, Catalonia fell to the Nationalist forces, who then sought to eradicate the symbols of Catalonian independence. Barça were forced to remove the Catalonian flag from their crest and also had to change their name from the English "Football Club Barcelona" to the Spanish "Club de Fútbol Barcelona." Supporters continued to sing songs in Catalan, however, and cheer against Franco's favored Real Madrid, so the club soon became itself a symbol of anti-Nationalist sentiment. In 1974, after Franco's declining health forced him to step down as head of state, Barça restored the Catalan flag to their crest and took the name Futbol Club Barcelona. On 15 March 1947, Neil McBain took the pitch for New Brighton AFC at the age of 51 years and 120 days. He still holds the record as the Football League's oldest-ever player. He began his career in 1914 as a wing-half with Ayr United and played for a variety of clubs in Scotland and England for the next 16 seasons, including Manchester United (1921-23), Everton (1923-26), St. Johnstone (1926-28), Liverpool (1928), and Watford (1928-31). 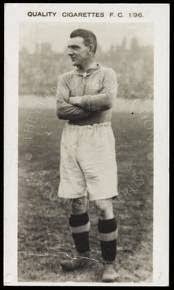 In 1929, while at Watford, he was promoted to player-manager. Though he retired from playing in 1931, he remained there as manager until 1937. After spells in charge of Ayr United (1937-38) and Luton Town (1938-39), he eventually took the reins at New Brighton in the summer of 1946. Late in his first season there, the team suffered a spate of injuries that left them short of goalkeepers. So, on 15 March, McBain put his playing boots back on and took the position in goal against Hartlepool United. It was not a successful return to playing for him, as New Brighton conceded three goals and scored none. McBain stayed with them for one more season (though he never played another match) and was sacked in February 1948. He continued to manage until 1963, including return stints at Watford and Ayr United, and passed away in 1974. On 14 March 1973, fresh off their defeat to Fulham two days earlier, Santos FC continued their England tour with a friendly against Third Division side Plymouth Argyle. And lost again. Controversy erupted before the Brazilian side even took the pitch. According to Argyle chairman Robert Daniel, Santos officials refused to let the team play unless the hosts ponied up an additional £2,500 more than the contracted fee. Daniel initially refused, but with a capacity crowd of over 37,000 at Plymouth's Home Park to see world-famous players such as 1970 World Cup winners Carlos Alberto, Edú, and the most celebrated player of all, Pelé, he eventually capitulated and paid the extra amount. He was glad he did, as Argyle took a 3rd-minute lead with a rocket from Mike Dowling, who fired the ball from outside the box into the top right corner of the net. A diving header from Derek Rickard doubled their lead, then a failed attempt by Santos keeper Claudio to corral a cross allowed Argyle's Jimmy Hinch to slot in from close range and extend the margin to 3-0 by the break. When the halftime whistle blew, supporters rushed onto the pitch and swarmed around Pelé seeking autographs. The second half was a different story, as a penalty kick from Pelé and a late goal from Edú closed the gap to 3-2, but that was it. Argyle held on until full time to claim one of their most historic victories. Labels: Claudio, Derek Rickard, Edú, Jimmy Hinch, Mike Dowling, Pelé, Plymouth Argyle F.C., Robert Daniel, Santos F.C. On 13 March 2001, Paris Saint-Germain and Galatasaray faced off in a Champions League match marred by violence in the stands. 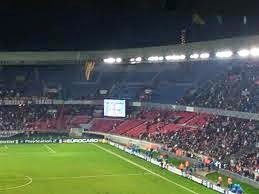 The clubs were at the Parc des Princes for their second meeting of the tournament's second group stage, with the Turks having won the first meeting, 1-0. It was the group's last match day and Galatasaray were challenging for the top spot, while PSG were looking for their first win of the round. They staked their claim early, with Brazilian international striker Christian giving them the lead in the third minute, then doubling it 24 minutes later. Frustrated by their team's performance, the traveling Galatasaray supporters began voicing their displeasure. Their words turned to actions in the second half, as they began ripping up seats and throwing them into the crowd. Fights erupted across the stadium and several bloodied supporters spilled out of the stands. In the 59th minute, referee Vitor Manuel Pereira stopped play and directed the players to leave the pitch as officials debated whether to call the match off. But after a 20-minute intermission, they decided to continue and the match ended 2-0. UEFA subsequently fined both clubs--£410,000 to PSG and £82,000 to Galatasaray--and also banned PSG from playing at the Parc des Princes for their next three European matches. Labels: Christian Corrêa Dionisio, Galatasaray S.K., Paris Saint-Germain F.C. 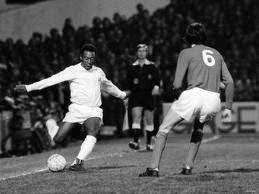 On 12 March 1973, Pelé and Santos FC visited London for a friendly against Second Division Fulham. And lost 2-1. 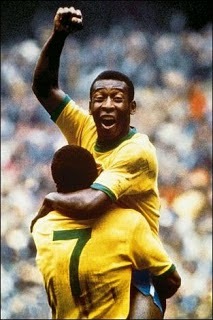 Although Pelé had been in England with Brazil for the 1966 World Cup, all of Brazil's matches had been played at Goodison Park, making the Fulham match his first in the English capital. His Santos teammates that day included fellow 1970 World Cup winners Carlos Alberto and Edú. A season-high crowd of 21,464 turned out at Craven Cottage for the game. Pelé, who was already an established international star, was the center of attention, receiving rounds of applause every time he touched of the ball. But Edú turned in the most impressive performance for the visitors with a combination of speed and style. Santos went ahead with a penalty kick from Pelé, who slipped the ball past Fulham keeper Peter Mellor, but the Cottagers fought back. Midfielder Alan Pinkney, not generally known as a scorer, provided the equalizer, while striker Steve Earle scored the winning goal. It was a hard-fought victory for the hosts; post-match reports described the Fulham players as looking exhausted, while the Brazilians appeared to have barely broken a sweat. Afterward, a dispute arose between the two clubs, as Santos believed that Fulham had short-changed them on their percentage of the gate. Any animosity between Fulham and Pelé did not last, though, as he later went on to scout for the club in 2002. On 11 March 1934, both Spain and Germany opened their World Cup qualification campaigns with dominant wins over their neighbors, scoring 9 goals each. The day represented the first involvement in the tournament for both of the future winners, neither of whom had participated in the 1930 World Cup. Unlike that first one, which had only 13 countries competing, the 1934 edition had so many interested teams that FIFA instituted a qualification process. Spain went into a two-team qualification group with Portugal, while Germany joined France and Luxembourg in a group of three. Spain enjoyed the biggest win of qualification, beating Portugal 9-0 in Madrid. They scored their first goal after only three minutes and never looked back, going up 3-0 by the break. 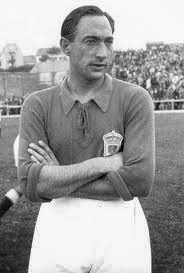 The 9-0 final score included five goals from Real Oviedo striker Isidro Lángara (pictured). Germany also scored their first goal after only three minutes with a goal from Vfl Benrath forward Josef Rasselnberg. Playing at Luxembourg's Stade Municipal, Germany were up 0-3 when the hosts scored in the 27th minute, then extended their lead to 1-5 before halftime. Rasselnberg added three more goals to the final score of 1-9. Both Spain and Germany qualified easily--Spain beat Portugal again, 1-2, while Germany did not need another match. In their group's next game, France beat Luxembourg 1-6, so both France and Germany advanced without having to play their group's final scheduled match. In the tournament proper, Spain fell to eventual winners Italy in the quarterfinals, while Germany lost to eventual runners-up Czechoslovakia in the semifinals. On 10 March 1971, Cardiff City delivered the shock of the season and one of the club's most famous victories, upsetting Real Madrid 1-0. The two teams met in the quarterfinals of the European Cup Winners' Cup. Cardiff, who were then in Division Two, qualified by winning the previous season's Welsh Cup. They weren't strangers to the competition, having participated in it four previous times including an impressive run in 1967-68 that ended with a semifinal loss to Hamburg. In 1970-71, the Bluebirds flew through the first two rounds, advancing past Pezoporikos Larnacas (8-0 agg.) and Nantes (7-2 agg.) to set up their date with six-time European Cup champions Real Madrid. Playing before a crowd of approximately 50,000 at Cardiff's Ninian Park, the hosts attacked the visitors with a blend of tenacity and quickness. They were rewarded in the 31st minute, when a surge down the left side resulted in a cross that was headed home powerfully by striker Brian Clark (pictured). Not content to sit on the lead, Cardiff continued to attack and Real Madrid were fortunate to escape with a narrow 1-0 loss. Madrid won the second leg 2-0 to advance, eventually finishing as runners-up to Chelsea, but the first-leg victory remains one of football's greatest upsets. Labels: Brian Clark, Cardiff City FC, Real Madrid C.F. 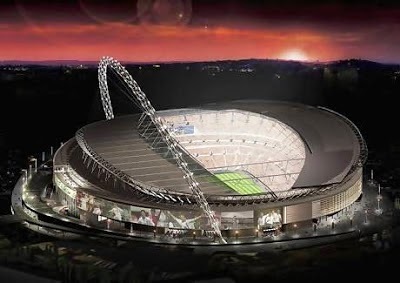 On 9 March 2007, construction was completed on the new Wembley Stadium and the keys handed over to the Football Association after multiple delays and a loss of almost £200 million to the stadium's general contractor. With construction starting in 2000, initial plans for the stadium called for its completion in 2003. But legal issues and problems with financing quickly pushed the scheduled opening back to May 2006. Problems with construction dogged the new project, however, including delays related to the building of the stadium's iconic arch that resulted in the replacement of the subcontractors in charge of it. In 2004, 54-year old carpenter Patrick O'Sullivan died when a scaffolding collapsed. More problems followed in 2006, including damage to the sewers underneath the stadium due to improper installation, pushing the completion date again, this time into 2007. Multiplex, the stadium's general contractor, claimed that many of the delays were the fault of subcontractor WNSL, resulting in litigation between the two companies. The 90,000-seat stadium was finally completed in March 2007 at a total cost of approximately £1 billion. Multiplex reportedly suffered a loss of £187 million on the project. The first competitive football match played at the new stadium was the 2007 FA Trophy Final between Kidderminster Harriers and Stevenage Borough. It has since hosted several cup finals and English national team matches, as well as concerts. On 8 March 1949, Barcelona star and 1975 Copa America hero Hugo Sotil was born in Ica, Peru. A striker and attacking midfielder, Sotil's skill on the ball has been compared to that of George Best. Unfortunately, the comparisons don't stop there, as drinking problems led to his premature decline. Sotil made his professional debut in 1968 with CD Municipal, where he scored 49 goals in five seasons. In 1973, he moved to Barcelona and, alongside Johann Cruyff, he helped them win the league in his first season--Barça's first league title in 14 years. His problems with alcohol surfaced in his second season and he temporarily lost his starting position to newcomer Johann Neeskens, though he reclaimed it during the 1975-76 season. 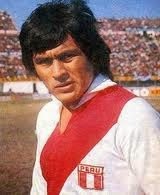 He earned 62 caps for Peru during his career, but the most significant one was the 1975 Copa America final against Colombia. Barcelona did not allow him to participate in the preliminary matches, so he flew to Caracas for the final, heading directly to the stadium from the airport and arriving there as his teammates were already warming up. Despite the lack of preparation, he scored the match's only goal in the 25th minute to give Peru the 1-0 victory. Sotil returned to Peru in 1977 to play for Alianza Lima, winning the league in his only two seasons there. He spent two seasons with Independiente Medellín, two with CD Municipal, and one with Espartanos FC before retiring in 1984 at the age of 35. On 7 March 2010, FC Twente leapfrogged PSV Eindhoven to take the top spot in the Eredivisie table. They would hold on to it for the remainder of the season to claim their first league championship. 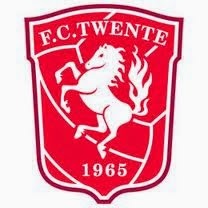 Founded in 1965, Twente's previous best finish was second, which they first achieved in 1974. They did it again in 2009, under the guidance of new manager Steve McClaren, then in his first season with the club. Twente got off to a remarkable start in McClaren's second season, winning 17 and drawing four of their first 21 matches. They had reached the top spot and held it for 10 weeks during that spell, but dropped into second place after a couple of scoreless draws in January. PSV, meanwhile, claimed first place with an even better run of 20 wins and five draws in their first 25 matches. But PSV slipped on 6 March, losing 1-2 away to NAC Breda. The loss opened the door for Twente, who were one point back. On Sunday, 7 March, Twente were away at RKC Waalwijk, whom they had narrowly beaten at home in August, 2-1. The return fixture was equally tight, with only a header from Twente midfielder Kenneth Perez separating the two sides. It was enough, though, to secure the full three points for the visitors, who jumped two points past PSV to top the league. PSV had a chance to reclaim the lead two weeks later when they hosted Twente, but they played to a 1-1 draw. Twente did lose to Alkmaar in April, but remained on top to claim their first league title while PSV slipped to third.